Leanne and I chat about the great Canadian wines nominated to pair with grilled food in The Great Canadian Wine Match: BBQ Edition. Find out why these wines are great matches for barbecued chicken, pork, beef, seafood, vegetables and dessert. 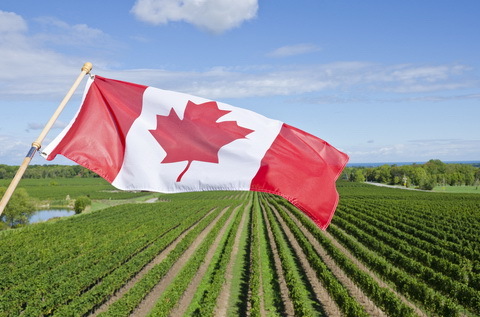 Just 4 days left to vote for your favourite Canadian wines! Carol Ann: Well, you know the next best thing to having a glass of wine on the patio is having Lee Ann and guest Natalie MacLean, tell us about the best wines to enjoy. Hey gals! Lee Ann: Hello! And Carol Ann, actually Natalie’s going to inform us of wines Canadians think are worthy of note and then you can actually cast a vote. Natalie’s going to tell us about the Great Canadian BBQ Challenge. Natalie: That’s right!, We’ve nominated wines from coast to coast, Canadian wines, so it’s the Great Canadian Wine Match: The BBQ Edition. This is the second year we’re doing it, we’ve got even more participation this year, hundreds of wines, thousands of people voting. Lee Ann: You know, the Canadian wine quality has so improved over the past number of years. We really do have to get back to JJ’s question, though. He’s at home, what wine would go with this weather forecast? You suggested a Rosé. Natalie: I suggested a Rosé because this Rosé from BC Quails Gate is lovely and it’s not what you expect from a Rosé. Its bone dry. I’m hoping this is not what we expect from the weather, rain! Lee Ann: You’ve really brought a mix. Coast to coast, some of the best wines according to readers and then you do actually have the chance to vote. Take us through a little bit of a tour. We teased about Henry of Pelham because that vineyard does have quite a story and was way ahead of its time because it was established in the late 1800’s. Natalie: Exactly! So, Henry of Pelham Baco Noir is a unique hybrid grape, meaning it’s a cross between two grapes. Very special for Niagara and Henry of Pelham, a specialist in making it. It’s been nominated for the best wine to go with beef. If you think of a cross between Australian Shiraz and a big Cabernet, it’s a honking big wine. Lee Ann: Oh, great for beef. So that’s sort of like a 2×4. Lee Ann: Since we’re talking, sometimes we refer to wood or the oaky flavour of a wine. Let’s go, you love a Pinot Noir, Natalie. Natalie: Yes! So we’ve got several Pinots’ on the table. From Coyote’s Run in Niagara, a juicy lovely red wine and this one had been nominated to go well with chicken. If you think about grilled chicken, it takes on more robust flavour because of that chariness of the grilled, a smoky flavour. So you can start to introduce more robust wines. That said Pinot Noir is the perfect balance for that or even seafood. Lee Ann: So this is from Ontario and this one was from Ontario but you also have some Pinot’s, I believe, from Quebec. Natalie: Well, I do have some robust red wines from Quebec. These two right here in the middle. People don’t usually expect robust dry reds from Quebec. We think about ice wine, we think of their beautiful ciders for dessert and their crisp whites. Both of these candidates are in the beef category and their full on red wines. Lee Ann: We’re kind of looking at the back so please forgive us. We’re doing the guess work. So this one is? Natalie: It’s from the winery Carone and it’s near the Eastern Townships of Quebec. We have a unique position here in Ottawa in that we can shop on both sides, at least if we keep it to ourselves. You can find a lot of this Quebec wine and ciders in the SAQ and then you can find a lot of Niagara wines in the LCBO. Lee Ann: In our next segment, we’re actually going to tell you where you can find those wines. Finding wines made easy with Natalie MacLean. We’re going to talk about an app and share some other great suggestions. Okay! So, we’ve done Baco Noir, some heavy reds, we want to cover as much ground as we can. We’ve ignored the white. Natalie: Oh, there are so many beautiful crisp whites and we often don’t think of nice zesty whites for the BBQ. We think about just those big reds. Take this Chardonnay from Prince Edward County from Norm Hardy. It’s lovely with chicken, seafood and grilled veggies. Think portabella mushroom. Or zip down to Nova Scotia and you’ve got Ortega which is a hybrid grape, crisp and white and aromatic. Lee Ann: And there’s another Nova Scotian wine just in front … Gaspereau. Natalie: That’s right! That’s the Pinot Noir! Lee Ann: Is it in the Gaspereau River? Natalie: Well, it’s in the Annapolis Valley and it’s got a lovely zesty Pinot Noir quality to it. That nice mouth watering acidity that’s really great with grilled chicken. Lee Ann: Now, we didn’t chat about price points but Natalie has all of the price points and the wines on her website. We have a link on our website. But the reason that this is so exciting for viewers is the chance to taste varying price points, various wines and see what every other Canadian is waving the flag about. Natalie: Exactly! And this is the last week to nominate and vote for the wines. It ends Friday. People have been rallying behind their favourite Canadian wines getting others to vote for it on social media You can also vote for it on nataliemaclean.com and I think it’s a way of celebrating our wines. It’s the peoples’ choice awards. Lee Ann: Peoples’ Choice Awards! Natalie has her own sort of choice awards. When we come back, we’re going to talk about a wine app that you have developed, adapted and are sharing. We’ll also share some great wines that you felt worthy of note.